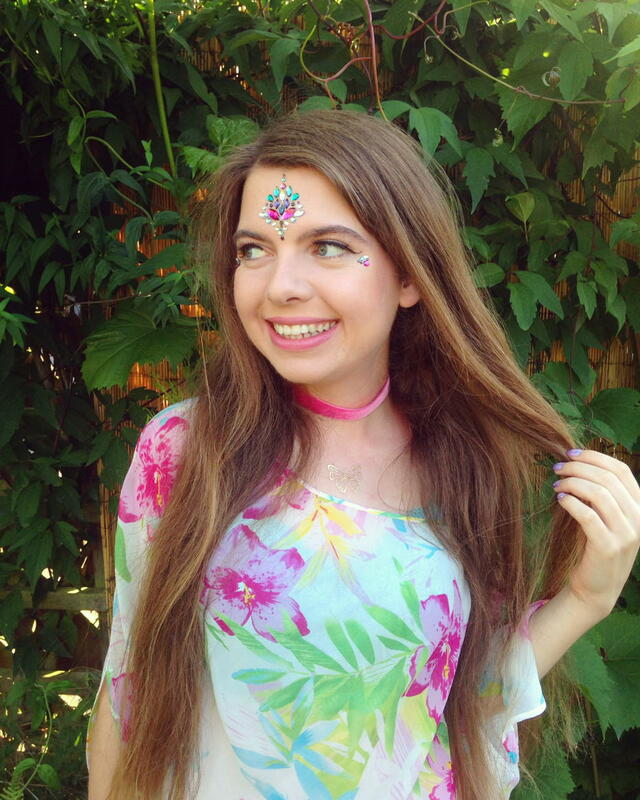 Today I’m sharing with you all a simple GORGEOUS collaboration with my lovely friends at ‘The Gypsy Shrine’ the girls who turn festival and party-goers into works of sparkle-tastic art from head to toe. This summer has seen them setting up the shrine at festivals up and down the country, including Gottwood, El Dorado, The Secret Garden Party, Wilderness and Reading Festival and they’re already set to rock up to more again next year. You can even book your makeover ahead for next year’s festivals now by filling out the form on their website here. 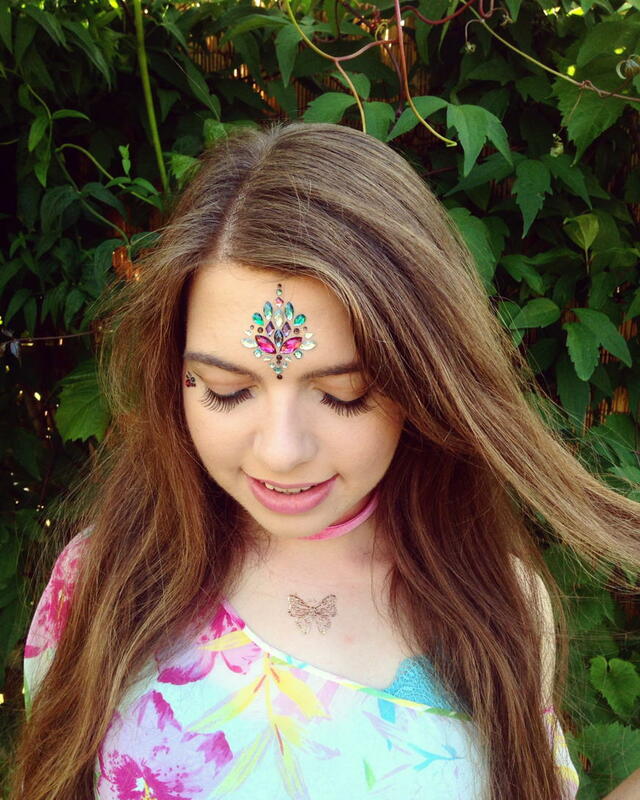 Festivals are a time to let yourself go and have fun, so why not with your hair and make-up too? 'The Gypsy Shrine' have all your glitter needs covered. From chunky glitter to make your cheekbones and hair (including beards for those hipster guys out there!) look magical and pixi-esque, to mirror and gem face jewels for your forehead and eyes, a visit to the shrine can mean only one thing; sparkle. 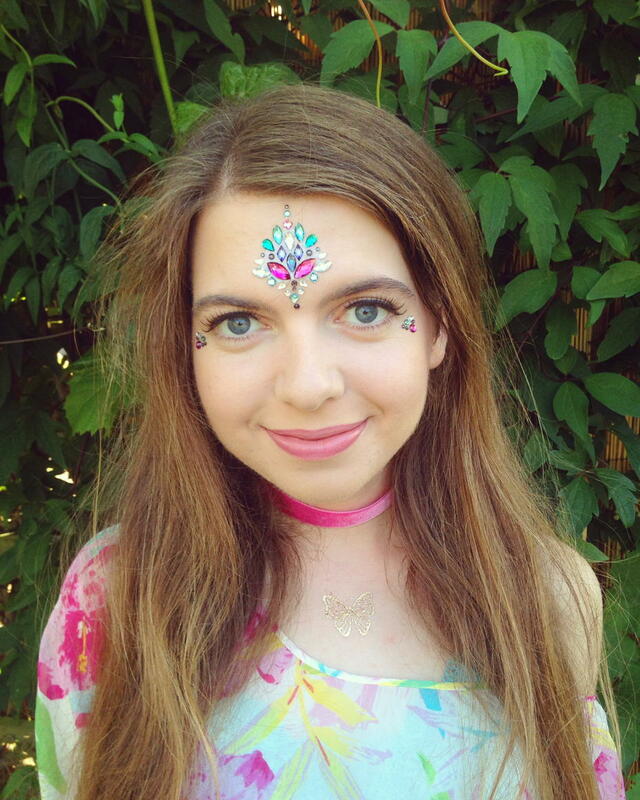 I personally adore their gypsy festival face decorative jewels, as they’re so unique and I’ve not seen them in the shops before. Of course they are ideal for festivals but I intend to wear them on nights out too, as they catch the light magnificently and add an aura of boho allure that is irresistible. They’re also self-adhesive and you can use them several times meaning you can be super-glam loads of times! Yay! Above: Wearing all in one face jewels in ‘Mexico Moon’. Shop the look here. Shop 'The Gypsy Shrine' range here. 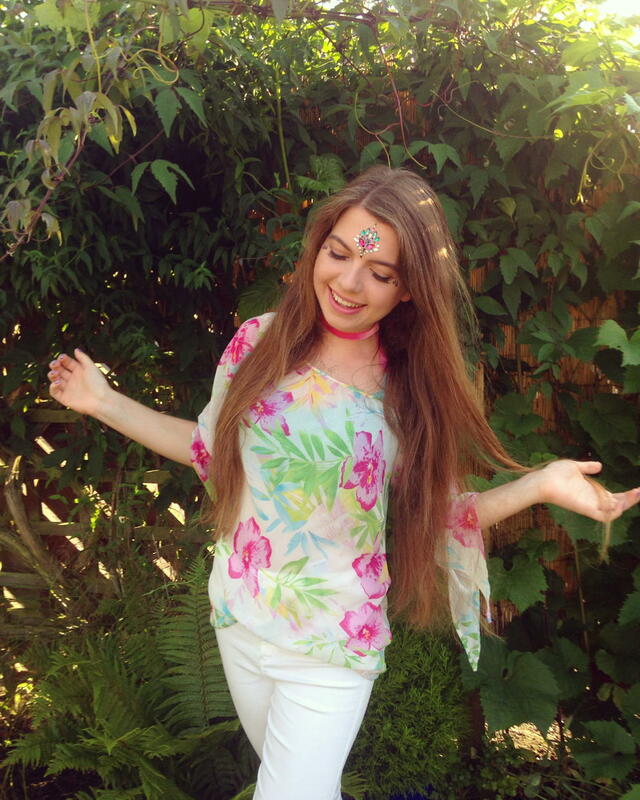 They also sell bespoke handmade feather headbands in a whole range of styles which are ultimate festival chic. Think pompoms, tassels and sequins. 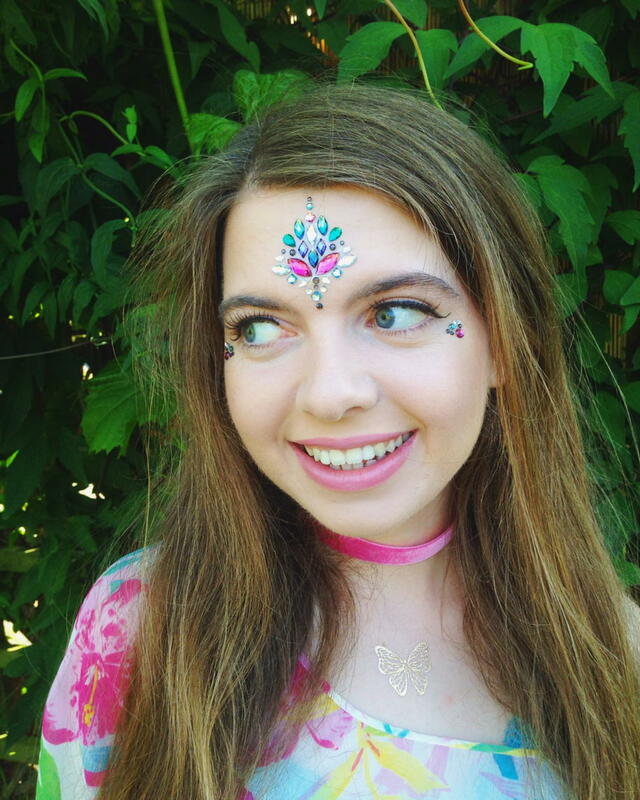 You can make any event you’re organising a gypsy gathering by booking Jenna and her team who do everything from face painting, super chunky glitter and gypsy face jewel make-up, body painting, henna tattoos, and colour and glitter hair braids. Feeling inspired? Connect with the awesomeness that is 'The Gypsy Shrine' on Facebook, Twitter, Instagram and check out their website. Search #COMEFINDTHESHRINE for more. All that’s left to do is to get bejewelled!